Star Wars – WHAT THE FORCE? Starting at Day 1 with Leia all the way through day 365! Join our host Marie-Claire Gould (@mariecgould), and Amy Ratcliffe (@Amy_geek) the author of Star Wars: Women of the Galaxy (Published by Chronicle Books). We discuss the book, the art, and the importance of this book for the fandom. Lattes with Leia podcast. When she’s not visiting a galaxy far, far away, she lives in Los Angeles. The women of the Star Wars galaxy drive its stories and saga forward at every level. This beautifully illustrated, fully authorized book profiles 75 fascinating female characters from across films, fiction, comics, animation, and games. 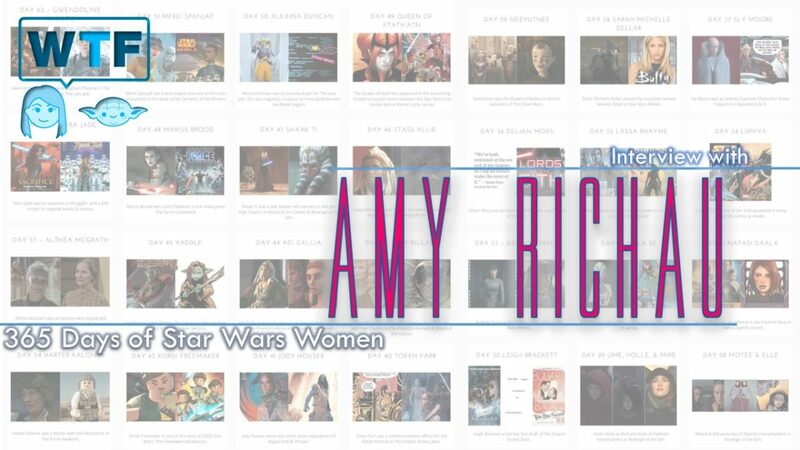 Featuring Leia Organa, Rey, Ahsoka Tano, Iden Versio, Jyn Erso, Rose Tico, Maz Kanata, and many more, each character is explored through key story beats, fresh insights, and behind-the-scenes details by author Amy Ratcliffe. Also showcasing more than 100 all-new illustrations by a dynamic range of female and non-binary artists― with some characters illustrated for the first time. Join our host Marie-Claire Gould (@mariecgould) and special guest Dr. Sarah Gallant (@sarah_gallant) for the first of many discussions about Religion and Star Wars. We start with a focus on eastern Religious elements we see in Star Wars across the Saga. Join our host Marie-Claire Gould (@mariecgould), and co-hosts Liam Rathgeber (@Liamrathgeber), Ty Black (@Black_tym) and James Dalton (@skullflare) for part 2 of our spoiler discussion and review of Solo: A Star Wars Story.